Bethesda is truly a wonderful place to be in the fall and there is no better time than the month of October. The leaves begin to change color and the air cools off but remains warm enough to sport a light sweater or jacket and a comfy light scarf. Take a walk on the ever-popular Capital Crescent Trail and perhaps you’ll spot a deer, a fox or an owl hovering in the trees. Oh, and there’s always pumpkin this-and-that to grab at one of the 180+ area restaurants. C’mon, you know you want that taste of fall no matter how cliche! Looking for something to do besides eating and drinking in Bethesda? For you more adventurous types, check out our concerts, classes, exhibits and events around town at the non-profit Bethesda Urban Partnership or “BUP”. Established in 1994, the organization creates and promotes a variety of events and festivals for the community. One of our favorite events is the upcoming Bethesda Row Arts Festival scheduled this year for Saturday, October 15th, 2016 from 11 AM -6 PM and Sunday, October 16th, 2016 from 10 AM – 5 PM. The event is FREE…. What’s not to love?! Oh right, you won’t love the parking! Perhaps try parking just outside of town at the Bethesda Pool and walking into town on the Capital Crescent Trail (about 1/2 mile). At this time of year, it’s a perfect stroll and you’ll pop right out onto Bethesda Ave in the heart of the festival. Enjoy! The 19th Annual Imagination Bethesda will be held this Saturday, June 1st, 2013 from 11:00 AM – 4:00 PM. Imagination Bethesda is designed especially for kids 12 and under with face painting, dancing, art stations and places to play music and hear stories. Event tents will line the streets of Auburn & Norfolk Avenues and street performers will be roving around. Don’t be surprised if you find yourself dancing, singing and playing like a kid! Imagination Bethesda is produced by Bethesda Urban Partnership and is sponsored by MIX 107.3 FM, Washington Parent and Bethesda Magazine. Black Friday is already a distant memory and winter is just around the corner! 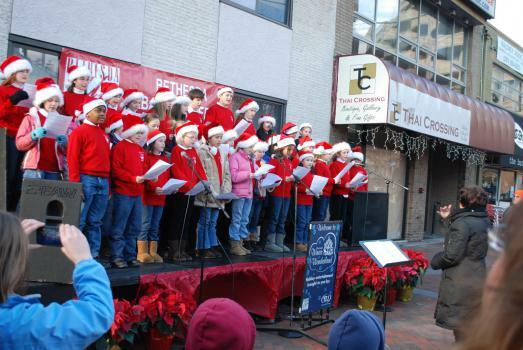 It’s time again to get into the holiday spirit and if you’re looking for a great way to do just that, check out the Winter Wonderland Festival in downtown Bethesda today, Dec. 3rd, 2011. Most of the activities will take place at Veteran’s Park located at the corner of Norfolk and Woodmont Avenues and at Imagination Stage located at 4908 Auburn Avenue. 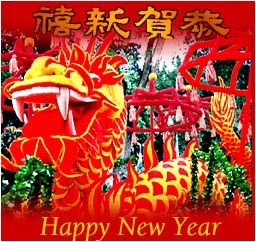 All the events are FREE, including the concert performances held today. The a capella and gospel performers will begin today at 1 PM and include the Capital Blend, American University Gospel Choir, The Capital Hearings and Vox Pop DC. From 1-2 PM there will be a live ice sculpture event at Veteran’s Park. Using tools like picks and even chainsaws, the sculptor will craft his works of icy art right before your eyes! Following the ice sculpting event, the afternoon will wrap up with a student choral concert from several local schools and a visit from Santa Claus! Last year santa showed up in a cute red convertible. I wonder how he will make his grand entrance this year! Day 273: Taste of Rainy Bethesda! One of Bethesda’s most well-known events, Taste of Bethesda, was held today in the Woodmont Triangle. In years past the event has drawn over 40,000 people and today, in spite of the raw, cold, rainy weather, the 22nd annual food fest was well attended. The “tastes” did not disappoint as thousands enjoyed the smaller portioned sizes and offerings as the many vendors were out “rain or shine” to satisfy the throngs of people who braved unusually chilly weather (with the wind it felt like mid 40’s) to sample the best that Bethesda has to offer. These girls huddled to brave the chilly weather! Tuesday, July 26: The Breakfast Club – This one is a true 80’s cult classic. It’s rated R (sorry kids), but anyone who wore shoulder pads and big hair in the 80’s will appreciate this flick! Too much fun! Saturday, July 30: The Social Network – Surprisingly a really great film in my opinion. Who knew that Justin Timberlake could act?! And quite well, I might add. The movie is entertaining, interesting and fun. Rated PG-13. The Summer Concert Series hosted by Bethesda Urban Partnership (BUP) on the corner of Woodmont and Norfolk Aves. (Veterans Park) from 6 PM – 8 PM every Thursday evening continues through July 21st. The full concert series 2011 calendar is available at the BUP website. Day 151: Bethesda Painting Awards – And the winner is…. After careful consideration, the finalists have been selected and their work is now on display at the Bethesda Painting Awards – Exhibition from June 1st -25th at the Artery Plaza Gallery at 7200 Wisconsin Ave. The exhibition is open from 12 PM – 6 PM Wednesday – Saturday. And don’t miss your opportunity to meet the artists! A public reception will be offered on June 10th from 6 PM – 9 PM during Bethesda Art Walk. The finalists, all local artists from Maryland, Virginia and DC, will be available to discuss their work at the reception. More information about each finalist is available on the Bethesda Urban Partnership website. 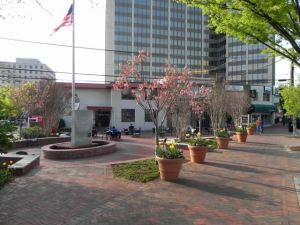 Veteran’s Park is located in the center of the area they call the “Woodmont Triangle” at the apex of Norfolk Avenue and Woodmont Avenue. It’s coincidentally a triangular-shaped park. I like this little park for a couple of reasons. First, parks in downtown settings are always a nice respite. This particular one has a nice fountain in the middle when the weather permits. The kids like the fountain because it splashes over the brick side and they can get a little wet. Second, at the base of the fountain is a flag pole with the American flag waving high above the park. A granite memorial is “dedicated to the men and women of the Bethesda-Chevy Chase area who gave their lives in the defense of our country.” Each of the wars that have been fought since WWI are listed. Hence the name Veteran’s Park. There’s not a lot of green foliage in this park but the herringbone brick patterned walk and low flagstone walls are nice. There are beautiful flowering cherry trees here this time of year and planters full of blooming tulips. I also like the chair and tables nearby especially so close to The Burger Joint (see our blog post on BGR). This is a great place to chow down a burger and enjoy some sunshine. Bethesda Urban Partnership has an information stand at the corner as well as a recycling bin for cans and bottles. There’s also a Bethesda Cares meter here if you’re inclined to help the homeless. The bus stop for the Bethesda Circulator is also here as well. Starting May 5 the park is the location for Bethesda’s Summer Concert Series brought to you by Bethesda Urban Partnership. On Thursday evenings through July the area is treated to free concerts performed by local artists from 6:00 to 8:00 p.m. Last December the Bethesda Winter Wonderland activities here included an amazing ice-sculptor, a concert and a visit from Santa Claus.